I have Fantastico DeLuxe as a software service, on my Cpanel. So, here, click on the Fantastico icon if you have it too. I suppose you have a valid administrator login into your control panel. If you dont’t, pls contact your web-hosting company. The next page is the Fantastico front end / home page, where available software services are listed. So lets go install wordpress. step-2) The WordPress Installation page provides some options for the actual installation. Fill in the blanks where necessary. All helloworld’s in the figure below are for tutorial-purposes only. b) Install in directory – for this tutorial, I’m installing WordPress into its own directory ‘wp’ – without the quotes. Note, the access URL will be http://mydomainname.com/wp. 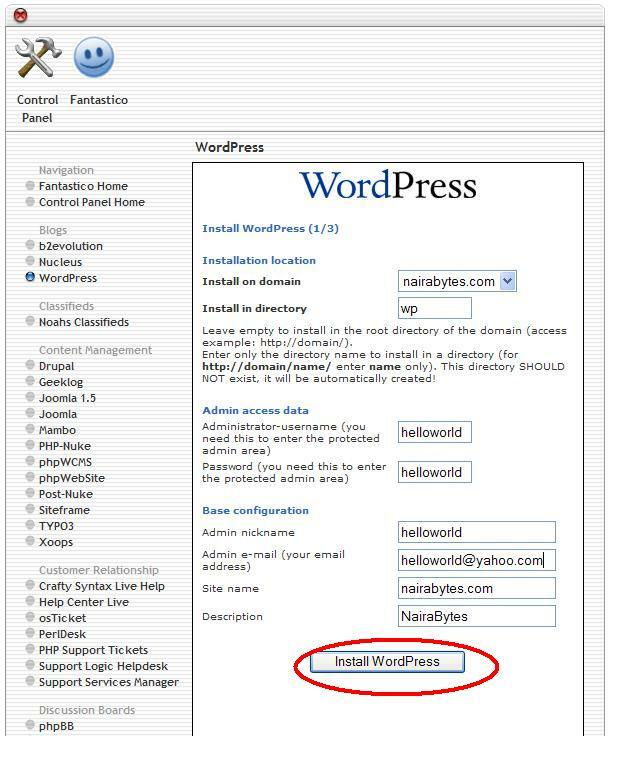 If ‘install in directory’ option is left blank, WP will be installed in the default public folder provided by your webhost. 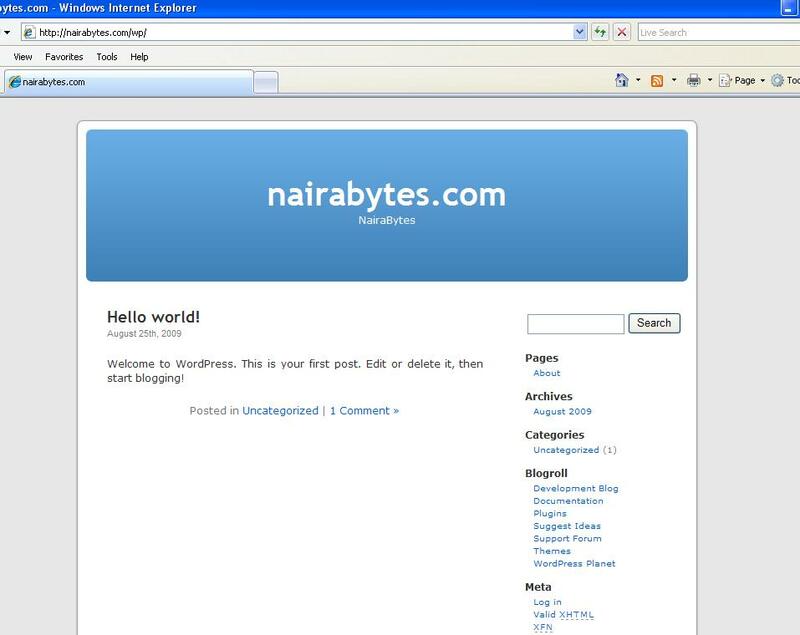 – fill in a username and password for accessing the site. admin e-mail – enter a valid email address for the administrator. Mine came pre-filled. After supplying necessary details, hit ‘Install WordPress’. step-3) Hurrayyy, the installation is complete. The portion red-marked is private to your own installation. Hit the Finish Installation button. step-4) The next screen provides you information regarding the installation and configuration paths, your username and password (entered in #2). Below the screen, you have the option to email these information(very important) to your email address for safe-keeping. Enter a valid email address and and hit the send mail button.